Greek people have been practicing the art of winemaking for more than 6,000 years now. From the northern parts of Macedonia, birthplace of the tasty ruby reds that carry the scents of the forests to the sun & sea-washed dry varieties growing on the island of Crete, this traditional wine-growing country has around 300 autochthonous grape “families” that come to life in more than 1,200 wineries. Wine also played a very important role in the Greek mythology and culture, where Dionysos was the famous –and somehow… naughty- god of the grape-harvest, winemaking and wine, of fertility, ritual madness, religious ecstasy, and theatre. The islands of the Cyclades share a great part of this rich heritage as their microclimate allows the production of local wines with very special characteristics that are often awarded to international tasting competitions and exported all over the world. 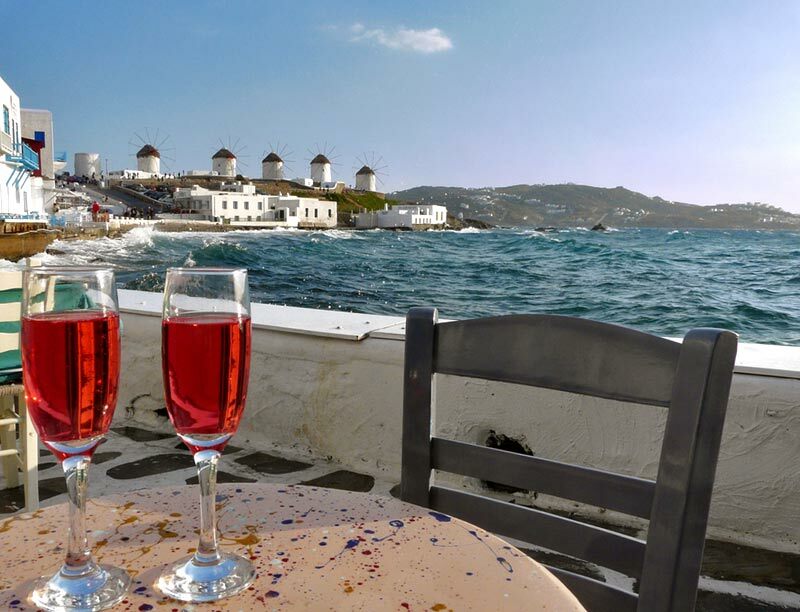 Either you travel to Mykonos, Paros and Santorini or to more remote islands, you should consider visiting local wineries, to see the vineyards and the stages of wine producing and also have the chance to walk around the cellars and listen to amazing wine stories. The PGI (Protected Geographical Indication) Cyclades zone includes all the Cycladic islands in the southern Aegean Sea, provided that their vineyards are planted at altitudes exceeding 30m. It was established in 2008 with the purpose to reinforce the concepts of authenticity and typicality. Specific geographical boundaries and varietal compositions have been set and producers can now display vintage years of wines. The variety of the PGI Cyclades shows that all islands form a beautiful ark of Greek viticulture. You will recognize it under the names Athiri, Aidani White, Asprouda Santorinis, Assyrtiko, Gaidouria, Katsano, Kritiko, Maloukato, Mandilaria White, Muscat White, Savvatiano, Athiri Black, Aidani Black, Avgoustiatis, Vaftra, Voydomatis, Kotsifali, Mandilaria, Mavrotragano, Fokiano and more. 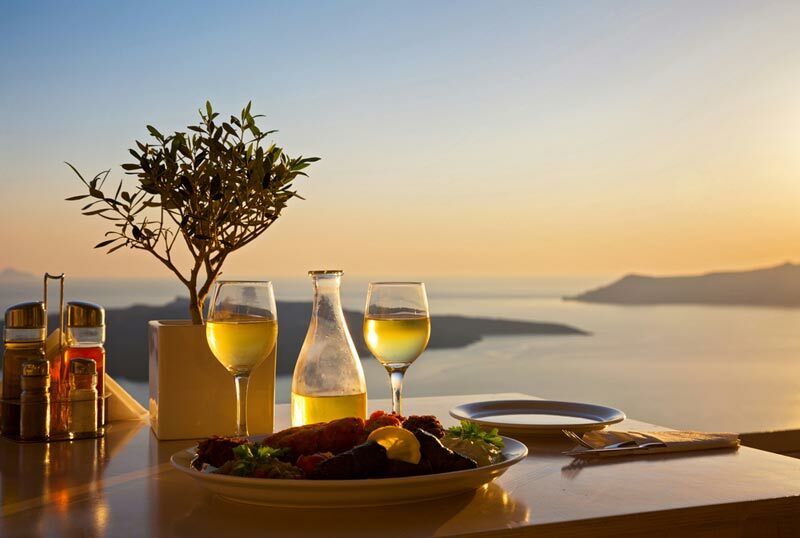 Although it might be a bit early to speak about wine tourism in the Cyclades –with the exception of Santorini – there is a definite rise in the production of top quality bottled wines, many of which are “born” in worth visiting boutique wineries. As for the vines they grow everywhere; on windy slopes where the dry soil is retained by low stone walls and on sandy shores where the fruits are scented by the sea breeze. Even today, throughout the Cycladic islands, vines are trained in aplotaries; the traditional way that makes them look like crawling on the ground to find protection from the strong northern winds! So, are you looking for an unforgettable summer vacation experience that will combine relaxation, luxury and wine tasting? Book a villa with pool in Mykonos and start discovering the local wines!